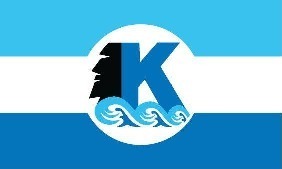 The Islands of the Fraternal Order of Moai • View topic - Tiki cakes! Post subject: Re: Tiki cakes! Here's an awesome one from a friend's party this past weekend! A local woman has made a couple for us. OMG those are all amazing!!! So much time put into those cakes!!! I could probably handle making fancy tiki cookies, but those cakes are in a whole other world! Very impressed. 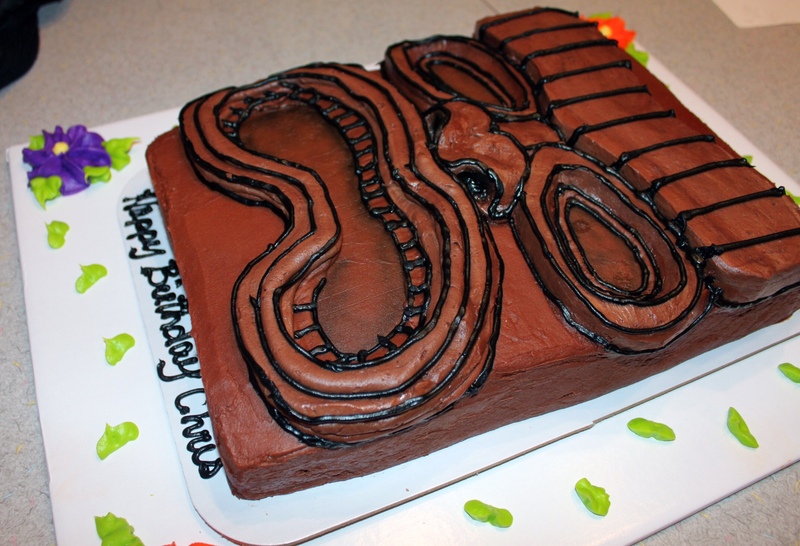 A great cake my friend made me one year. Last edited by KahunaCP on Sun Aug 26, 2018 9:07 pm, edited 1 time in total. Mine would definitely end up on cake wrecks and not in the good section. Lol... Cake decorating is not my best skill. This was from my 40th. Ha - I thought Tiki Cakes was the name of a new initiate....and I still think it should be. Two Tongariki (Nyarlathotiki and Rumdumpster) got married this past weekend. 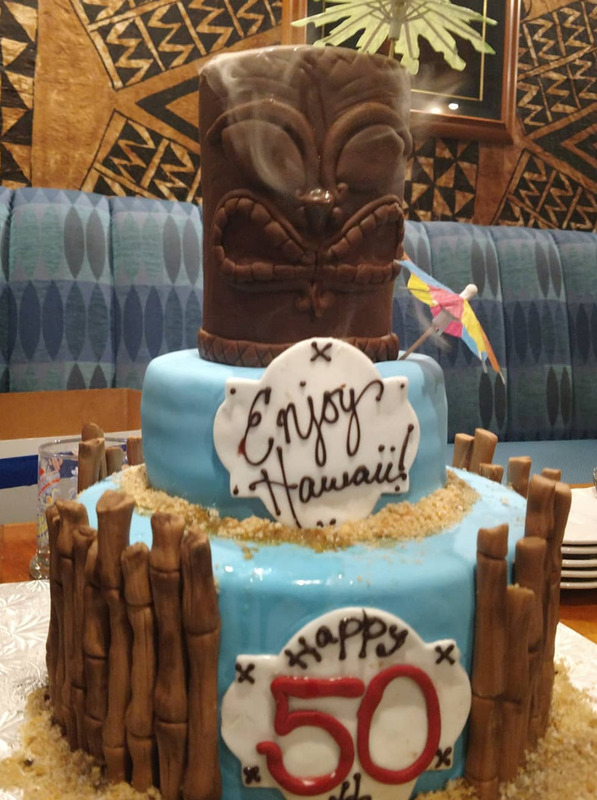 The groom's cake was a tiki hut. MakikoMoe needs to chime in here with some of her Tiki Cookies. "Hey, Tiki cakes, how YOU doin?" Wait...who told you that line was less-than-successful? MakikoMoe’s Tiki Cookies are awesome - especially the Navy Grog! All this talk of cakes and cookies is making me hungry...maybe a midnight snack is in order. My family got me this cake for my birthday last year! That is awesome. Whose cake is it? Happy travels! Great effect with the smoke, looks like he’s satisfied with the offering and will protect you on your journey. That's my cake. just got it fresh. You don't look 50. But then, I hear all the time that I don't look 54. Riptide doesn't look his age either. I think that this is overwhelming evidence. Rum keeps you looking young. Drink Rum, Everyone!! I just know that you are all now looking at my clown profile picture and thinking -- "Girl, whoever is telling you that you don't look your age has a little problem with their pants being on fire..."